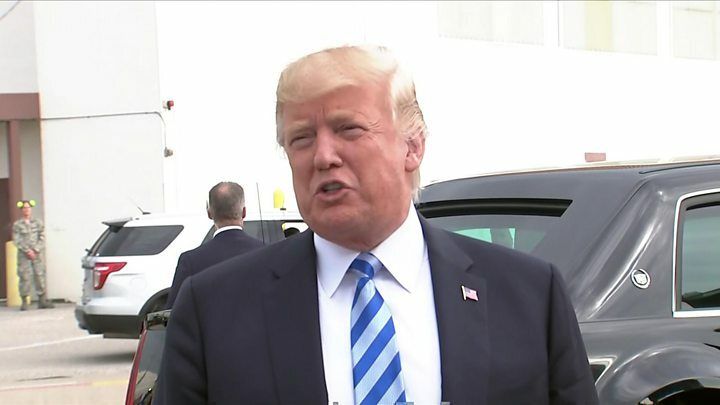 President Donald Trump has praised his former campaign chairman Paul Manafort, now a convicted felon, for refusing to “break” under legal pressure. Mr Trump tweeted he felt “very badly” for Mr Manafort, who was found guilty on Tuesday of bank and tax fraud. The president lauded him for declining to “make up stories” to get a deal. In Wednesday’s tweet, Mr Trump praised Mr Manafort for withstanding “tremendous pressure” by the justice department of the president’s own administration. But Mr Trump lashed out at Cohen, who has agreed to co-operate with special counsel Robert Mueller’s investigation into alleged meddling by Moscow in the 2016 US election. 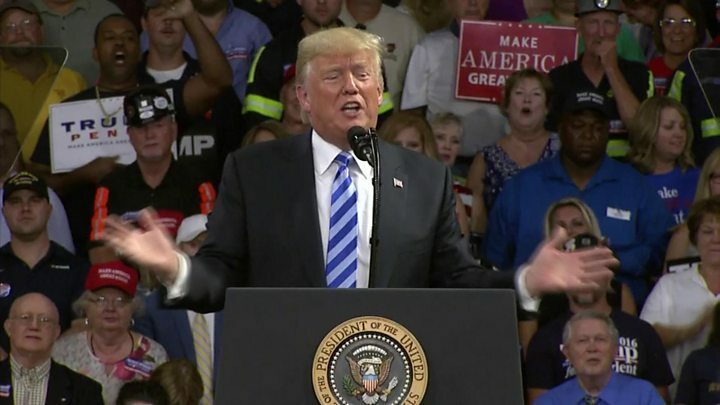 Though the Republican president has distanced himself from Manafort, once a key figure in his inner circle, he was quick to offer his commiserations post-verdict. “It’s a very sad thing that happened,” Mr Trump told reporters on Tuesday, adding that it had “nothing to do with Russian collusion”. In the same hour on Tuesday afternoon, Manafort was found guilty on eight felony fraud charges and Cohen pleaded guilty to eight tax evasion and illegal campaign finance charges. A jury failed to reach a verdict on 10 of Manafort’s other charges, but he still faces 80 years behind bars. Cohen Trial: Who is the woman in the blue dress? Cohen’s lawyer has said his client has knowledge of whether Mr Trump knew about the computer hacking which undermined his Democratic presidential opponent, Hillary Clinton. He also said that Cohen is ready to “tell everything about Donald Trump that he knows”. Media captionManafort’s indictment: Where did all the money go? Manafort was found guilty in the first criminal trial arising from the Mueller investigation, though none of the charges against him related to any collusion with Russia. Manafort’s lawyer, Kevin Downing, said his client was “disappointed” with the verdict and was “evaluating all of his options”. 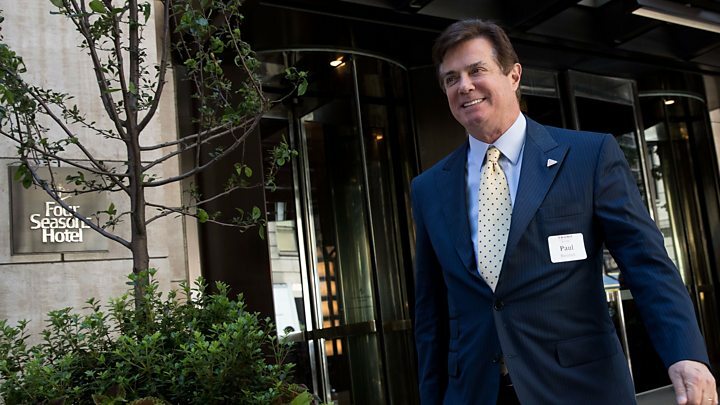 Manafort – who is in custody – will be back in the courtroom in September for his trial on charges of money laundering and illegal lobbying. What did we learn from the Manafort trial?